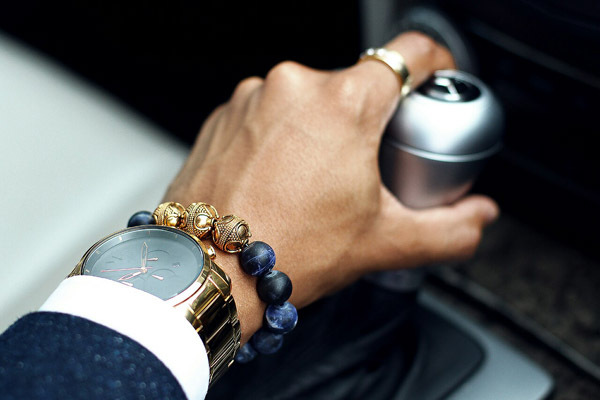 Aurum Brothers crafts custom luxury wrist wear such as the Premium Gold Matte Sodalite Bracelet using precious materials. Indeed, the ancient and invaluable history embedded in stones such as sodalite, labradorite or striped agate makes them extremely precious. Add your choice of silver or gold in various combinations and you have a unique gem, for anywhere between US$89 and US$349.